Deals to Southeast Asia are back this week. It’s not often that East Coasters can find cheap flights to Asia, especially compared to the fairly regular $600 flights from California, but today there are some fantastic opportunities to travel to Thailand. Flights to Bangkok (BKK) departing from Newark (EWR) on United and ANA start at $676 round-trip for dates in early 2016. Almost all of these flights include a short layover in Tokyo, but you shouldn’t be on the ground for more than 3 or 4 hours, and Narita Airport is a great place to transit. Discounted fares might be available from other cities, too, via Airfarewatchdog. Bangkok is a great entry point for travelers visiting Southeast Asia, with more than enough to do and see, not to mention the great food. New York (EWR) to Bangkok (BKK) for $676 on ANA and United in January. New York (EWR) to Bangkok (BKK) for $676 on ANA and United in February. 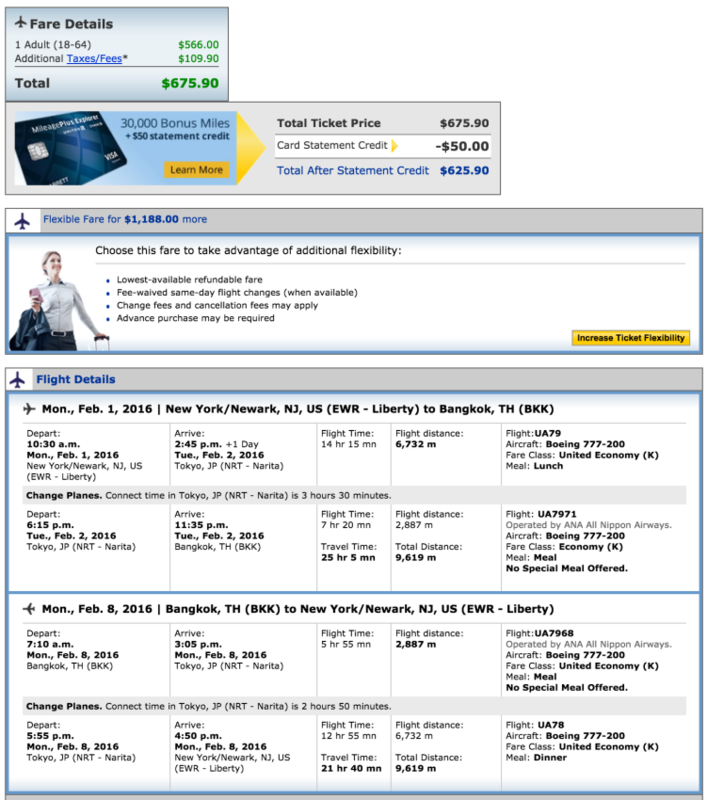 New York (EWR) to Bangkok (BKK) for $676 on ANA and United in March.